The MLB offseason is really starting to get going as players are moving in trades and free agents are finding new homes. While that is going on, the NFL saw a major injury and the NBA and NHL got two key stars back. And the College Football Playoff is finally set. Here is what is happening this week in U.S. Sports. MLB's offseason has finally started to see movement as trades and free-agent signings started to go off this week, and these were notable moves, not just little ones. 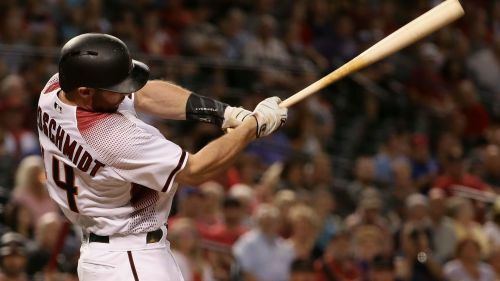 The St Louis Cardinals acquired six-time All-Star Paul Goldschmidt from the Arizona Diamondbacks, the New York Mets picked up Robinson Cano and Edwin Diaz from the Seattle Mariners and the Philadelphia Phillies received Jean Segura from Seattle as well. Free agent pitchers Patrick Corbin and Nathan Eovaldi found homes as well as Corbin has reportedly signed a six-year, $140million deal with the Washington Nationals and Eovaldi was inked to a four-year, $67m deal with World Series champions the Boston Red Sox. Bryce Harper and Manny Machado remain on the market, but now that some deals have been made things may really start moving soon. The Denver Broncos were flying high coming out of the weekend. Denver had won three games in a row after a 24-10 victory over the Cincinnati Bengals on Sunday which placed the team in the conversation for a playoff spot once again. But Wednesday, the Broncos received horrible news as the team's leading wide receiver Emmanuel Sanders went down with a non-contact injury in practice. Reports came out on the day on the extent of the injury, and the news was official later in the evening. Sanders tore his Achilles' tendon and is out for the season. Denver have a favourable schedule to end the year with games against the lowly San Francisco 49ers, Cleveland Browns and Oakland Raiders over the next three weeks, but the offense will have a very hard time without Sanders. Georgia made things interesting Saturday when they nearly handed top-ranked Alabama their first loss of the season, but Jalen Hurts led the Crimson Tide off the bench to an SEC Championship and effectively ended the Bulldogs' chances of a playoff spot. On Sunday, it was announced Alabama, Clemson, Notre Dame and Oklahoma would play for this year's national title with Bama and OU facing off in the first round and Clemson and Notre Dame playing in the other semi-final. Georgia were ranked fifth overall in the final standings and Ohio State sixth. Then just hours after the rankings were released, Buckeyes head coach Urban Meyer announced he was retiring. Meyer, 54, cited health problems as the reason and said he is fairly certain he will not coach again. Ryan Day will take over as the head man for Ohio State. The two-time MVP returned to the line-up for the Golden State Warriors on Saturday and picked up right where he left off before he suffered a groin injury earlier this season. Curry promptly dropped 27 points in his return and followed that up with 30 points in his next game and 42 on Tuesday. The Warriors were 5-6 without him in the line-up. They are 2-1 with him back having won each of their last two games. The high-flying Toronto Maple Leafs finally have one of their young stars in the fold. Nylander, 22, sat out the first 28 games of the season while waiting for a new contract, but came to an agreement with about five minutes to go before Saturday's deadline. Drafted eighth in 2014, Nylander signed a six-year deal worth nearly $42m, giving the Maple Leafs tons of security in their line-up for a very long time as they also locked up John Tavares this offseason. Toronto sit second place in the Eastern Conference and they were just boosted by the return of star Auston Matthews too. The Maple Leafs are looking good at the quarter point of the season.